I’m not sure exactly why I naturally associate Vogatha with Sunday in my mind. 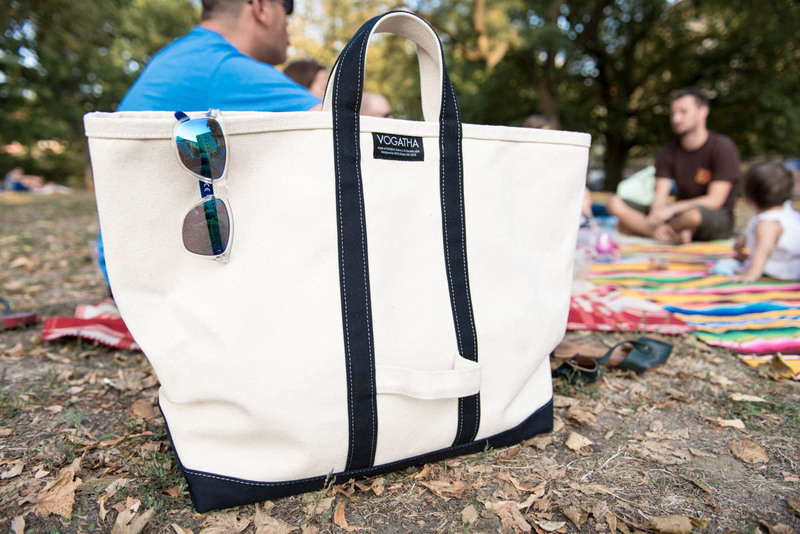 Something about the idea of a soft, slow day in the sunlight, easy days with friends, shopping and laughing days in the city — it’s so easy to picture this with a Vogatha eco canvas tote that I guess they just go together in my mind. 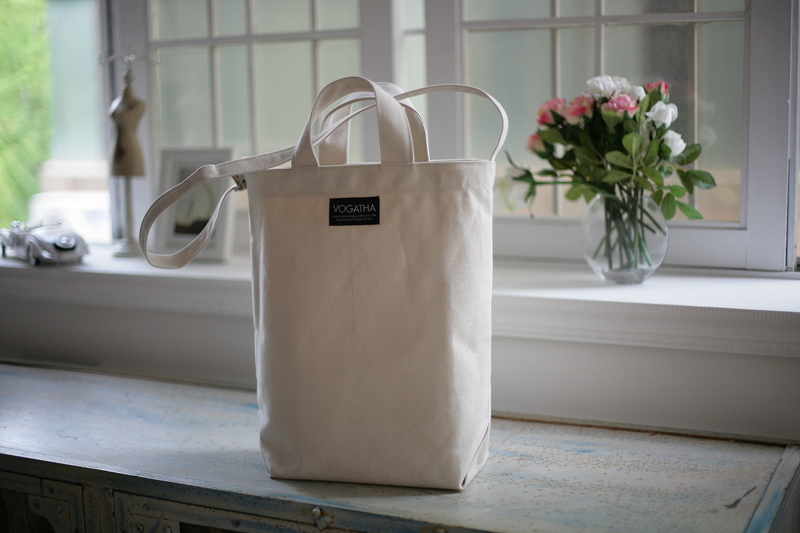 Vogatha eco canvas totes are just that — eco. Made from industrial-grade canvas, the bags are good for the world, and good for you. The extra strength canvas means that these aren’t just your average flimsy tote that may or may not be able to handle that extra book. There’s no need to leave the book behind, because these totes are strong. Additionally, they won’t lose their shape. Vogatha totes start beautiful and stay that way. Vogatha totes come in a range of sizes to suit your needs, from small shoulder bags to extra large totes. Most come with removable, adjustable shoulder straps to let you decide how you want to rock it that day. 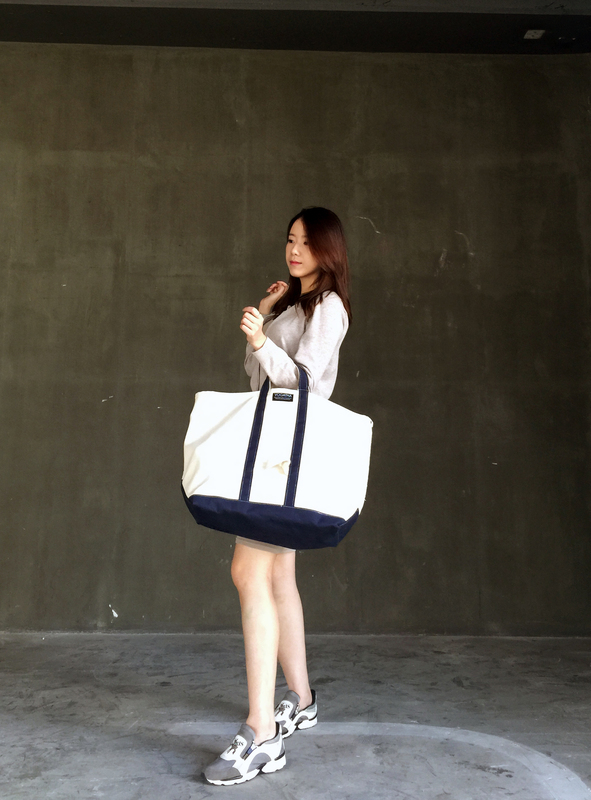 The main body of the tote comes in either cream or navy blue, with a variety of colors for the accents. Vogatha totes aren’t loud or in your face — the simplicity and geometry of the design is understated but undeniably gorgeous. Maybe that’s why I think of Sunday when I think of Vogatha. Maybe it’s is a day to go to a coffee shop with a book and read the day away, or maybe it’s a day to get out into the welcome spring warmth and go shopping with friends. Whatever it is, it goes well with a Vogatha eco canvas tote bag. You can buy yours online today at www.vogatha.com! Share the post "Sweet Sundays with Vogatha"
Posted in Blog and tagged canvas shoulder bags, canvas totes, eco canvas bags, eco canvas totes, eco tote bags, VOGATHA. Bookmark the permalink.